At Starmark Cabinetry, a cabinet isn’t punched out of wood or built from a prefabricated box and then stored on a warehouse shelf until you order it. They make each cabinet by hand, one at a time, to your exact specifications in 1/16” increments. For a limited time, our Starmark handcrafted kitchen cabinets are at modular cabinet pricing and include our famous custom cabinet upgrades at absolutely no charge! 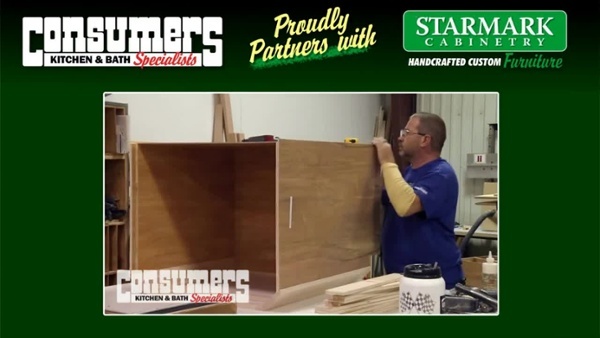 Learn more about how Starmark makes their cabinets, how to personalize them to your exact taste and so much more. Want to learn more about how we can create the Starmark kitchen of your dreams?